Bangladesh Government High School Admission Online Application Process and Notice in Dhaka City on www.gsa.teletalk.com.bd. Govt High School Admission Circular has been published recently. The circular is to fill up the vacant seats in Government high schools of Dhaka Zilla. Instructions and complete guideline of Govt High School Online Application has been provided in the circular. Interested candidates therefore need to apply via Online and clear the application payment on time. 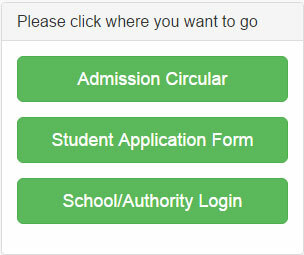 At this point, a brief discussion regarding Dhaka Govt High School Admission Notice has been provided in our site to make things easy-going for our viewers. Applicants have to provide all needed information and should attach a 300 by 300 JPEG color photograph by selecting the upload option. After completing the online application process, candidate will get a User ID which will be used further to complete the payment. Admit card can be collected from the above mentioned website by using the User ID and Password. All candidates need to bring the admit card during the written exam. The instructions regarding the date of admission test and all other information regarding seat plan and admit card will be provided in the candidate’s mobile number given in the application form. So applicants should keep the mobile switched on so that they do not miss any important information. How to Restore User ID and PIN? Exam Date has not been declared yet in, Govt High School Admission Circular. But likewise last year the exam center may be Mohammdpur Govt High School , Dhanmondi Govt Boys High School and Khilgaon Govt High School. The written examination will be in 50 marks for class 2 and 3 and 100 marks for 4 to 8. The main subjects of the exam are Bengali, English and Mathematics. Class 4 to 8 students have to answer from 100 marks where Mathematics will carry 40 and Bengali and English are 30 each. There is some quota issue for PSC passed applicants.